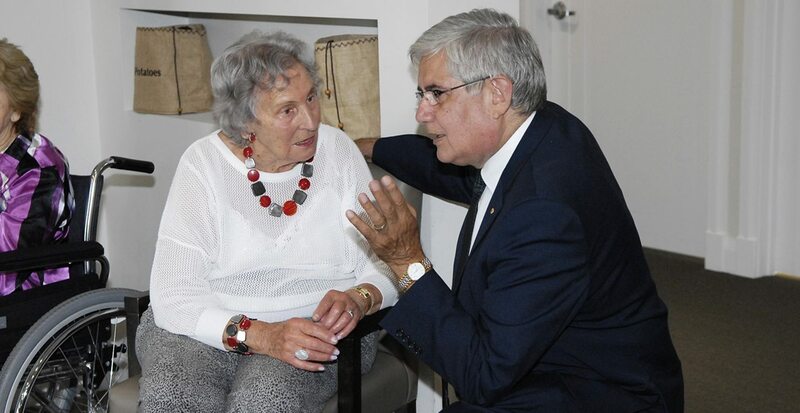 Ninety-one year old Betty Jenkins was minding her own business when an inquisitive Ken Wyatt stopped for a chat. 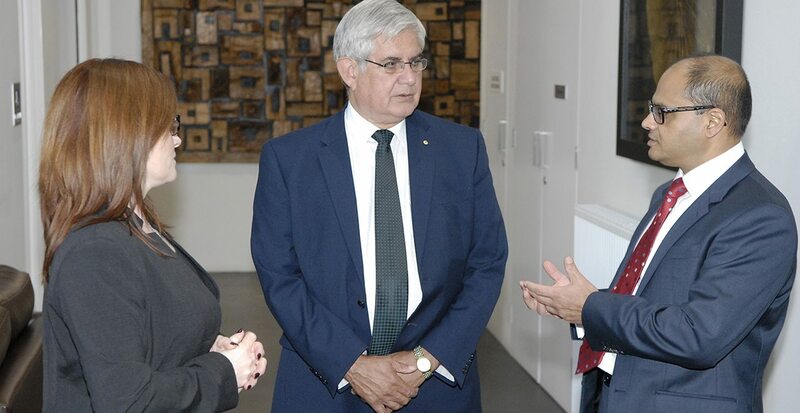 On his way to the airport, the Assistant Minister for Health and Aged Care visited the Arcare residence to learn more about their unique relationship-focused approach to care. ‘When staff genuinely care for the residents and one another you can feel it’ he commented. ‘I noticed it here from the moment I walked in. The difference between Arcare and other providers is their focus on relationships. ‘Historically, aged care was an extension of a hospital. That’s why they were referred to as ‘nursing’ homes’ relates Arcare CEO Colin Singh. The Federal Government agrees with their unique approach, awarding Arcare a Better Practice Award in November. ‘My hope is that others adopt Arcare’s relationship approach,’ notes the Assistant Minister. Arcare Craigieburn opened in July 2014 and is located on Waterview Boulevard next door to the Aitken Creek Primary School. With children from the Craigieburn West YMCA Early Learning Centre visiting regularly, and locals wandering in for a coffee at the in-house café, Arcare have created their own community in the heart of Craigieburn. Angeline, Manager at Arcare Craigieburn, Ken and Colin, Arcare CEO, discuss Arcare’s approach to aged care.